Lactobionic acid (LBA) is a newly identified natural polyhydroxy acid that is widely used in the food industry. In this study, the antibacterial effects and underlying mechanism of action of LBA against Staphylococcus aureus were investigated. 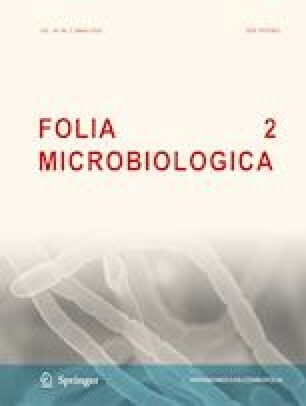 LBA exhibited significant antibacterial activity against S. aureus with a determination of the minimum inhibitory concentration (MIC) and minimum bactericidal concentration (MBC) of 15 mg/mL and 50 mg/mL, respectively. The Growth curves indicated that LBA directly inhibited the growth of S. aureus. Moreover, LBA induced the leakage of alkaline phosphatase and nucleotides in the culture medium, indicating damage to the integrity of the S. aureus cell wall membrane, which was confirmed by transmission electron microscopy observations. The relative electric conductivity measurements indicated that LBA changed the cell membrane permeability. The preservation effect of LBA was evaluated by quantifying the total number of colonies, total volatile base nitrogen (TVB-N), and thiobarbituric acid reactive substances (TBARS). Overall, these results revealed that LBA exerts its antibacterial activity by breaking down the structure of the bacterial cell wall and membrane, thereby releasing the cellular contents as well as inhibiting protein synthesis, which ultimately lead to cell death. The total number of colonies, the TVB-N value, and the TBARS of cold fresh meat treated with preservatives were significantly lower than those of the control group (P < 0.05). With these antibacterial characteristics, LBA has potential to be used as a safe food additive in the food industry. Jiarong Cao designed the study, interpreted the results, and drafted the manuscript. Hongjie Fu and Lihong Gao collected the test data. Yan Zheng provided guidance. This work was supported by the Scientific Study Project of Liaoning Province Education Department (grant no. LSNZD201607) and National Key Technology R&D Program of the Ministry of Science and Technology (grant no. 2015BAD16B0903).